Read HERE what we did last year. 1. Survival Skills Badge A challenging weekend including cooking natural food over open fires without pots and pans; building and sleeping in a bivouac; learning all about surviving in the great outdoors. Scouts must have camped under canvas with the scout section previously. 2. 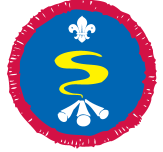 Survival Skills (Activity +) – For Scouts who have done our first course but are not yet 14. This is a stage between the standard Scout and Explorer badges, giving you the chance to complete a few projects during your survival exercise. 3. Bushcraft & Survival (more experienced) – for Explorers (or Scouts over 14) who have already done our basic survival course. Learn new survivals skills, including setting up ‘home’ in the bush. Minimum age 14. 4. 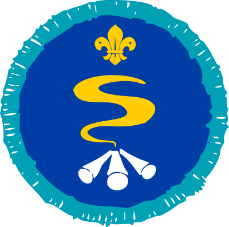 Advanced Survival (Explorer Survival Skills Badge) This time you will have reduced resources and need to take more initiative than for course 1 or 2. Participants will work with minimal equipment and will have the chance to practice previously learnt skills and gain new ones .Minimum age 14. Courses 3 and 4 can be completed in any order as long as you have already completed course 1 and are over 14. 5. NABO This is a really advanced course on which you ‘survive’ with just the basics. If you have already completed the advanced courses and believe you can complete this ultimate challenge, please apply stating when you attended the courses and why you feel you are a suitable candidate. NB not every applicant is accepted – the course leaders have the final decision, bearing in mind the need for safety as well as adventure. We are keen to add new leaders and Network members to our teams. Particular;y for Expedition & Survival Skills weekends. If you feel you would like to join our teams then please contact Paddy.